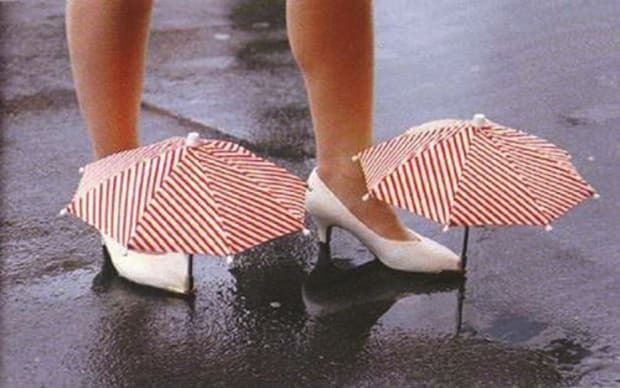 The Shoe Umbrella helps your feet stay dry from the rain. It also takes waterproofing way too far. The shoes look ridiculous, and they're not worth it. You will get soaked by the jokes that will undoubtedly shower you on the street by gawking strangers.